Yes, we're aware. The current wages make it almost impossible to save up. Some of us don't even know what savings are and even full-time employees find it hard to get to the end of the month with their salary. 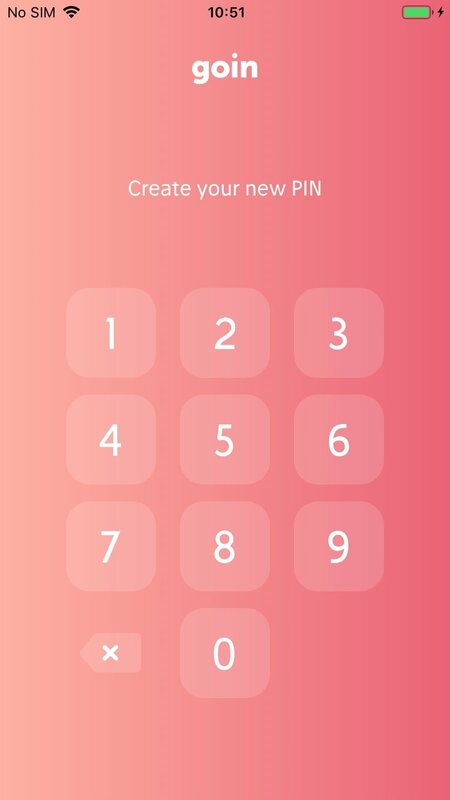 Goin - Gain with each coin comes along as an efficient way to easily save money without having any knowledge about investments by means of using automatisms and specific savings methods depending on the profile of each user. 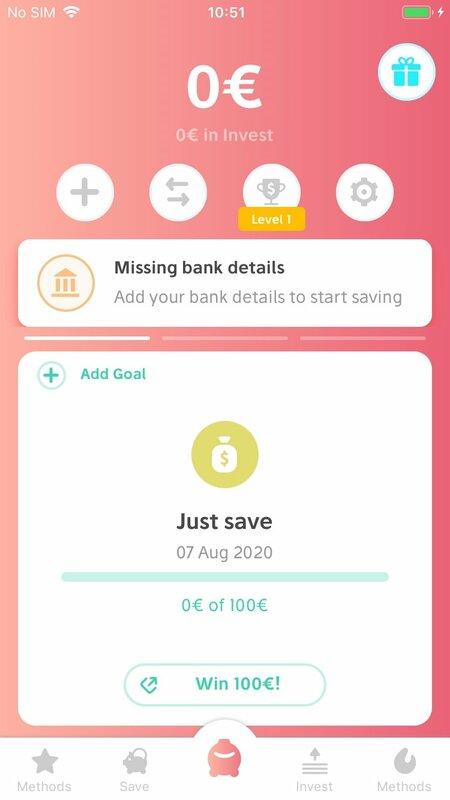 Anyone is capable of saving moeny with these automated savings methods. 5 different methods to save money. 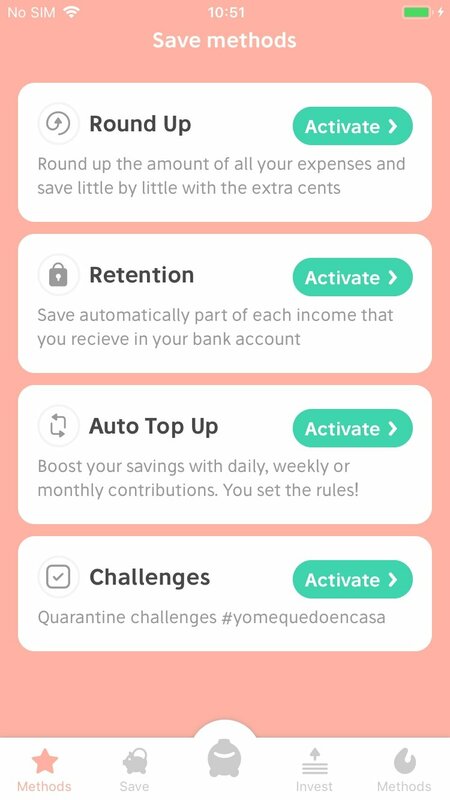 We can control every single expense from the app's interface. Possibility to take advantage of special discounts in hundreds of stores. 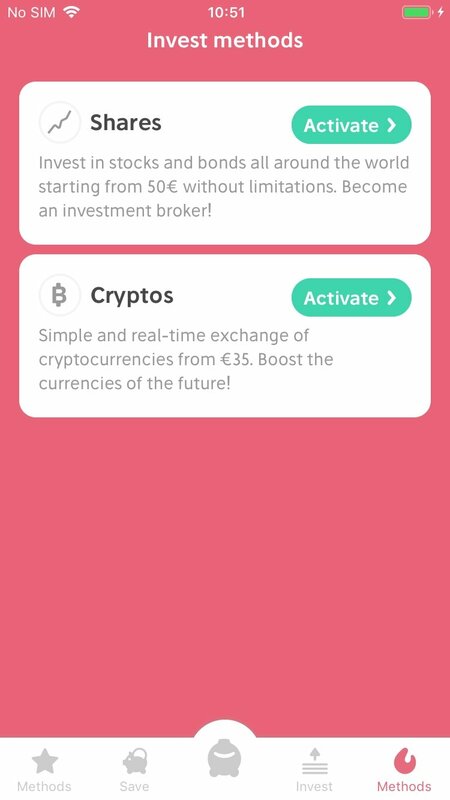 Option to withdraw money at any moment. We can access Goin by means of FaceID or fingerprint. Includes important informative notifications to help us understand how the system works. Compatible with almost all national and international banks. Finally, if you use Goin, you should know that it's totally free. The only payment is a standard 1% quota per year if you decide to make investments through the app.